On May 8, 2014, the Tools exhibit took place at the Big Car Service Center. This piece is by Nhat Tran. 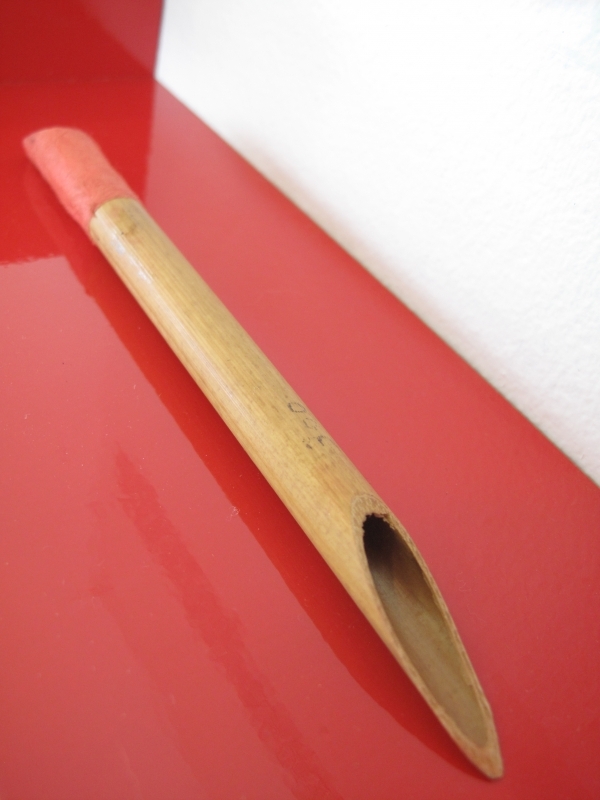 Urushi artists use small bamboo tubes like this one to sprinkle metal powder meticulously onto a lacquered surface. Simple though it may look, designing this tube requires careful thinking and patient crafting. The core needs to be cleared out so that the inner wall be perfectly round, smooth, without a single scratch. Both ends must be cut at two distinct angles exactly. A piece of silk with a precise mesh size is glued to its top and then ironed to stretch it flat. To make a difference in our work, even the most modest tool needs to be perfectly fashioned.